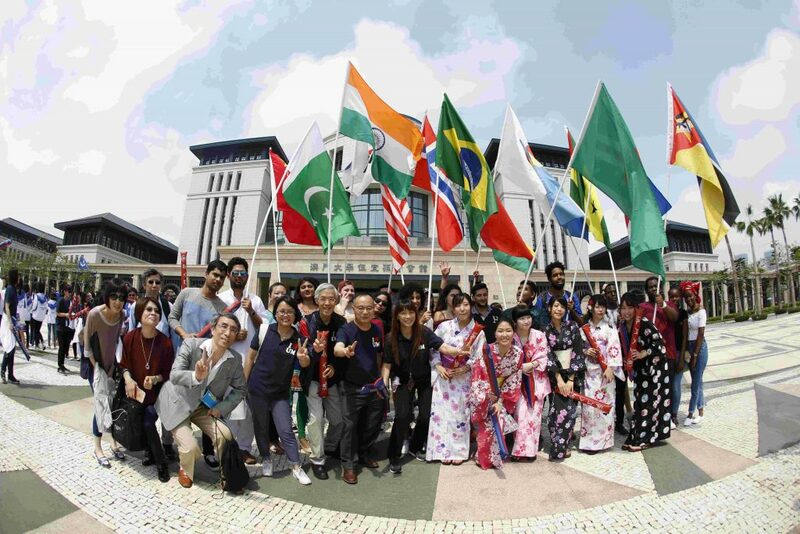 The University of Macau (UM) held an Open Day on 22 April, which attracted over 10,000 members of the public. Many students and parents praised UM’s good academic atmosphere. 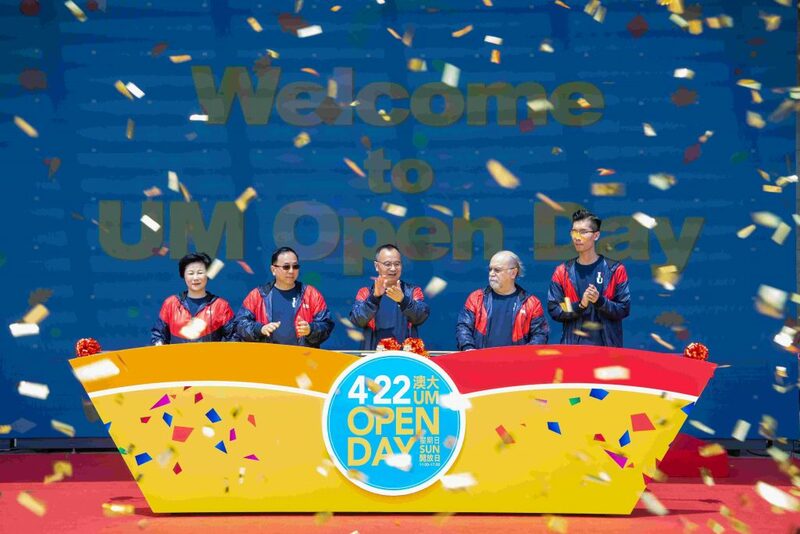 UM Rector Yonghua Song hopes the Open Day can help the public gain a better understanding of UM’s educational philosophy and latest developments as well as strengthen the university’s ties with the community. Some parents who attended the Open Day with their children especially liked the vibrant colours throughout the campus. They praised the creative design of the booths, saying that their children not only enjoyed the games, but also gained a deeper understanding of languages, cultures, and applied science through the games. They added that the Open Day helped their children appreciate the importance of hard work in a new way. Parents also praised the good academic atmosphere at UM, believing it is the kind of environment where their children would feel motivated to work hard to achieve their full potential. Some secondary school students said they enjoyed the science-themed games very much, saying that they never thought that scientific theories could be turned into fun games that could be applied in everyday life. They expressed their hope to study at UM some day to learn more scientific knowledge. They also thanked current UM students for sharing their exciting life on campus, which made them look forward to entering college. Officiating guests at the Opening Ceremony for the UM Open Day and Smart Campus included UM Rector Yonghua Song, Vice Rector (Academic Affairs) Lionel Ni, Vice Rector (Research) Rui Martins, Vice Rector (Administration) Kou Mei, Director General of the Board of Directors of the UM Students’ Union MC Ao Ieong. 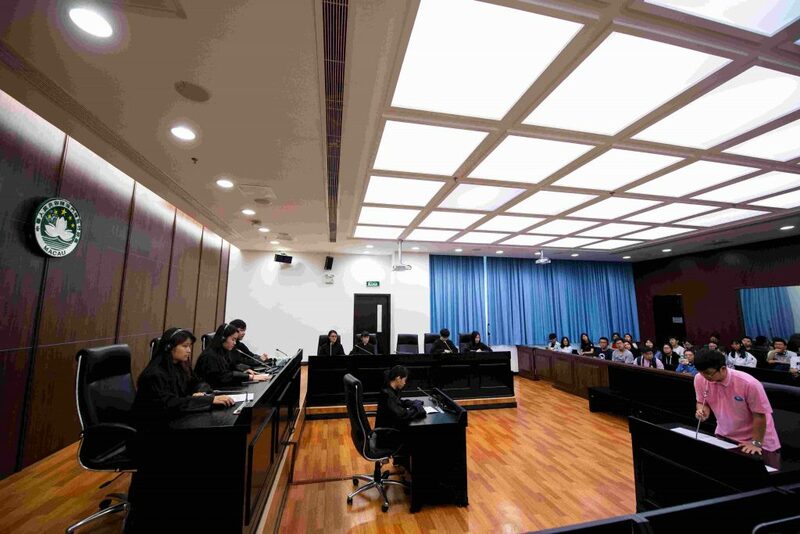 Other guests at the opening ceremony included officials from the central and Macao SAR governments, principals and other senior management members of local secondary schools, UM alumni, and prominent members of community. In his speech, Rector Song said that the Open Day aimed to help people from Macao and its neighbouring regions to gain a better understanding of UM’s educational philosophy and its latest developments, as well as to strengthen the university’s communication with the local community. He added that since its founding 37 years ago, UM has produced more than 30,000 outstanding graduates for society, and the university itself has become a high-quality university with regional characteristics. In the future, UM will continue to work hard to enhance its teaching quality and global impact, and to create a better teaching and learning environment, in order to produce outstanding graduates with lofty goals, a global mindset, creativity, and a sense of social responsibility, so they can better serve Macao. 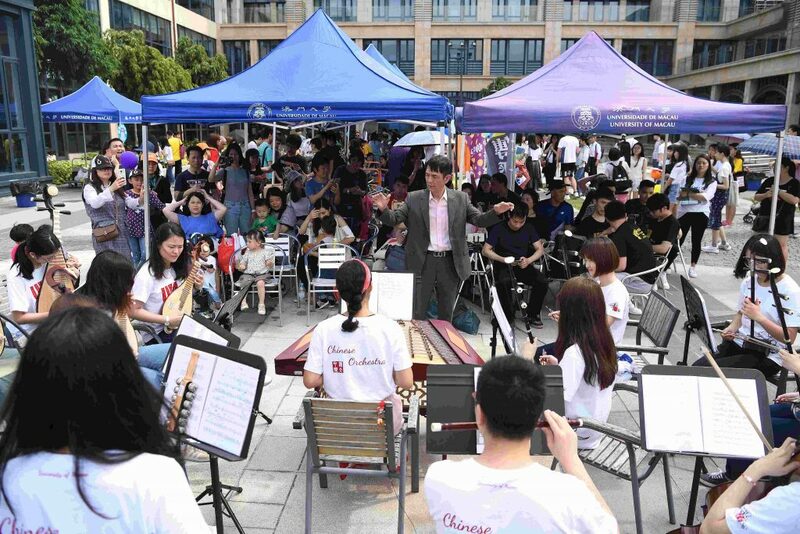 During the Open Day, different faculties and residential colleges held various activities that were both fun and educational, including a language- and culture-themed garden party, Wonder Rooms of History: A Promenade, Ping Pong Currency, A-mazing Maze, Philosophy Treasure Hunt, simultaneous interpreting workshop, paper plane workshop, improvisational piano performance, creative art for young children, fun science experiments, talk on drug development, moot court, and knowledge competition in Chinese medicine. These activities attracted many local residents, students, parents, and tourists. 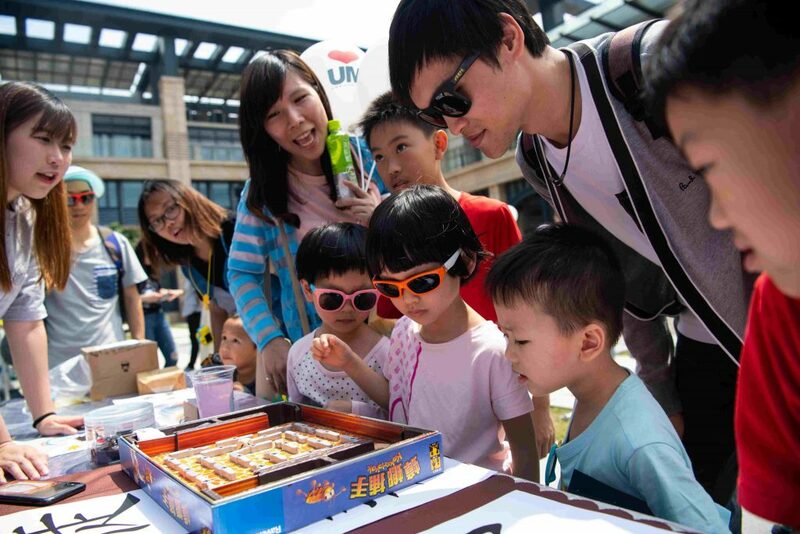 In addition to booth games and family-friendly games, such as eSports and traditional sports competitions, there were also an international student parade, international food festival, and performances by UM’s cultural and arts teams on different locations. Some visitors learned more about the UM campus and UM members’ stories through the campus tours, which included different routes and were guided by the PR Student Ambassadors.